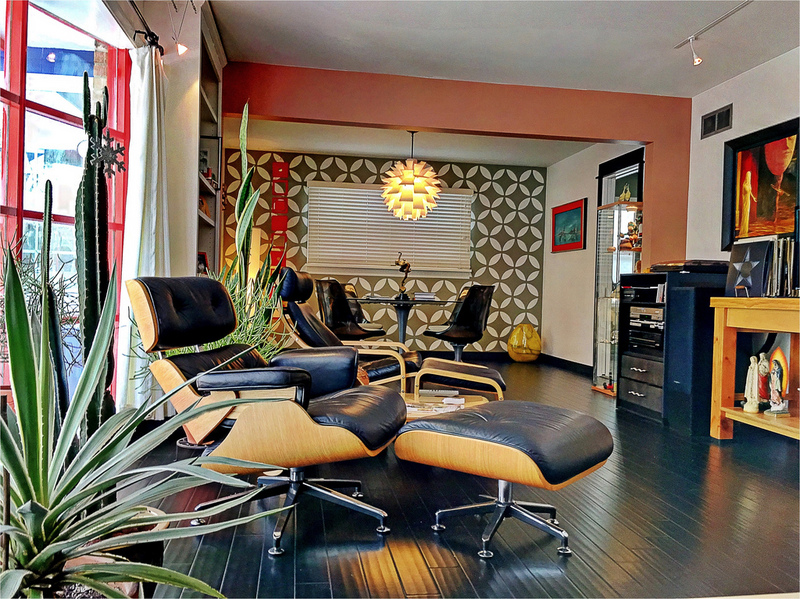 Mid-century modern is an interior design, product, graphic design, architecture, and urban development movement, which came to popularity from roughly 1933 to 1965. The term, employed as a style descriptor as early as the mid-1950s, was reaffirmed in 1983 by Cara Greenberg in the title of her book, Mid-Century Modern: Furniture of the 1950s (Random House), celebrating the style that is now recognized by scholars and museums worldwide as a significant design movement. The enduring popularity of the Mid-Century Modern style is based on many factors. It gave us clean lines, gentle organic curves, a love for different materials and designers that are idolized even today.While there is some disagreement about when the period started, it roughly lasted from the mid-1930s to mid-1960s. The timeless quality of the style, however, continues to appeal to today’s homeowners. This style grew in America based on earlier styles such as Bauhaus which began in Germany, and the International style, which grew from the Bauhaus style in America. Cataclysmic world events such as wars uproot and destroy, but they can also create opportunities sometimes. This is what happened during and after the World War II when many Bauhaus architects and designers migrated to America as a result of changes in Germany. As with war, changing economies and technological advances also affect how we live, and what we want and need. After the Second World War, there was an expansion of cities and suburbanization in the U.S. Along with that emerged a demand for modern furnishings for the new, quickly built modern homes, such as the Eichler homes built in California by Josef Eichler. Technological advances led to production and development of a range of new materials making it possible to explore new textures and effects, colors and even new form. The distinguishing features of this style consist of a classic, understated look, and clean lines with minimal fuss. Functionality is important, as form follows function, along with uncluttered and sleek lines with both organic and geometric forms. There are several Mid-century Modern designers of note, and pieces designed by them have continued to inspire designers who came after them. Furniture pieces inspired by their designs, as well as copies are greatly sought after. As with any period, do not feel a compulsion to create a replica of those times. You can, if you feel compelled, but a lot of homeowners just starting out feel intimidated when tackling a style they love. It can also prove to be very expensive to get authentic pieces, even though many are still being made or have been revived due to demand. Understand the distinguishing features of the style, and find pieces that echo that. Iconic pieces from this era have been adapted and copied endlessly, and chances are that you might be able to find pieces that fit your lifestyle needs and budget, even if you don’t want to spend a fortune on furniture. Buying vintage furniture is one way to do it, and even if you decide to buy new, generally one large piece can set the tone nicely. Build around it. It does not have to be a set, but avoid too many patterns and stay within a color range, especially for wood. Clean lines, curves and smooth surfaces create an understated look. Less becomes more. The heavy, boxy, ornamented pieces of the past were banished and replaced with slimmed down furniture in open spaces. Suddenly, MCM homes became light and airy. Furniture continued to be made from wood, but now with international influences. Scandinavian design and teak wood soared in popularity. Broyhill’s popular Brasilia line, introduced in 1962, imitated the waves and lines of the Brazilian capital. Despite this being a large piece, designers managed to visually reduce its mass. New materials — and uses for them — emerged in World War II. Post-War designers conscientiously applied plastic, plywood, glass, and/or lucite to their creations, integrating these materials into the design. Textures flex their power. The shag rug, rough stone fireplace, smooth glass table, sleek ceramic lamp, and furniture fabric all work together. Patterns emerge in the abstract painting, pillows, and pottery. The wood and glass of the coffee table suggest the lines and shape of a modernist sculpture. Form follows function for all of the pieces seen in this room. Again, I’ll mention the lightness and airiness of the space. The sofa sits on a floating frame. This serves to lift and suspend the heaviest piece of furniture, giving the same ethereal feel as the lounge chair. In our last photo, what textures can you identify in this photo? There’s natural wood and brick, tile flooring, ceramic lamps, a nubby rug, the metal chandelier, fur throw, and fabric on the pillows, chairs and sofa. I like the exotic bookcase that features items from the owners’ travels. Despite some of the prices seen here, you can find Mid-Century Modern furniture to fit your budget. If you are not a collector, you don’t need an original. Replicas are an alternative. All you need is one statement piece and you can build your room around it. Interior design and furniture acts as a sort of cultural timestamp that dates the settings of films. It’s the little details like the design of a set that differentiates a neo-futuristic, post-apocalyptic science fiction flick from classic Elizabethan period piece. Creating that suspension of disbelief within the audience is only possible when the visual context that is setup is believable, accurate, and most importantly stylish. And as many designers and furniture lovers would say, what could be more stylish than Mid-century Modern design? With the right utilization of furniture styles, films can really set a scene. There is no doubt that the Mid-century Modernist movement will last well after its conception at the middle of the last century. It has proven to be an example of timeless design that is deeply rooted in our contemporary culture. Very little else can truly be as long-lived as the low-set, sleekly angular, adventurously organic aesthetic of this masterpiece of a design movement. Mid-century Modern design has various implications in how social, economic, and even political climates affect the aesthetics of the design. In all honesty though, one reason we could all agree to with why vintage Mid-century Modern furniture was, is, and always will be popular is for this simple fact – that it just looks really good. © 2016 - 2019 Sunny Transitions LLC. All rights reserved. estatesalelist.net, the "Estate Sale List" logos, Estate Sale List, Sunny Transitions are trademarks and/or registered trademarks of Sunny Transitions LLC. All other trademarks are property of their respective owners.